Senate Minority Leader Harry Reid has accused FBI Director James Comey of potentially breaking the law, following Friday’s announcement that the agency is investigating new evidence regarding Hillary Clinton’s email server, an issue he (and everyone else) had hoped had been put to bed, and not reopened a scant two weeks before the election. 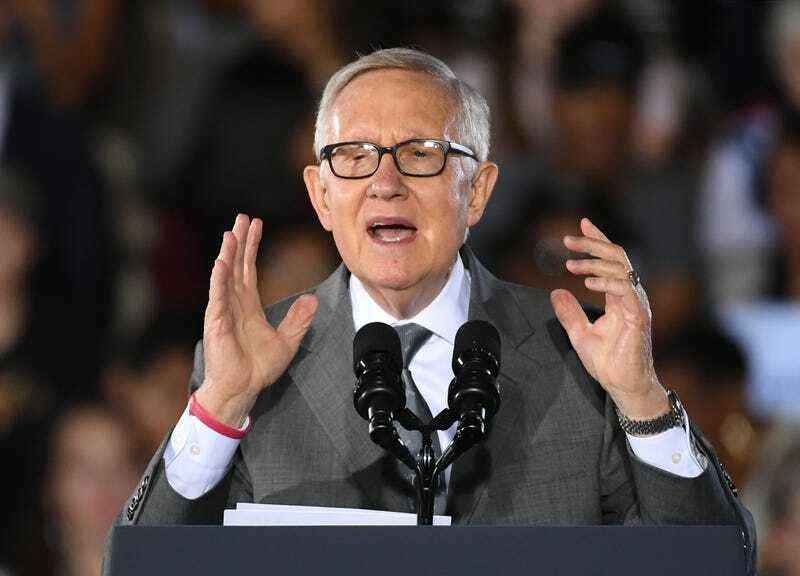 Reid speaks for many Democrats who feel that Comey’s announcement was preemptive, considering the FBI had yet to obtain warrants to view the emails, which were unearthed during an unrelated investigation of former Congressman Anthony Weiner. As of Sunday evening, that warrant has been obtained, which means investigators now have the go-ahead to begin digging through the cache of emails sent by top aide Huma Abedin to Weiner, her estranged husband, from Clinton’s private server.